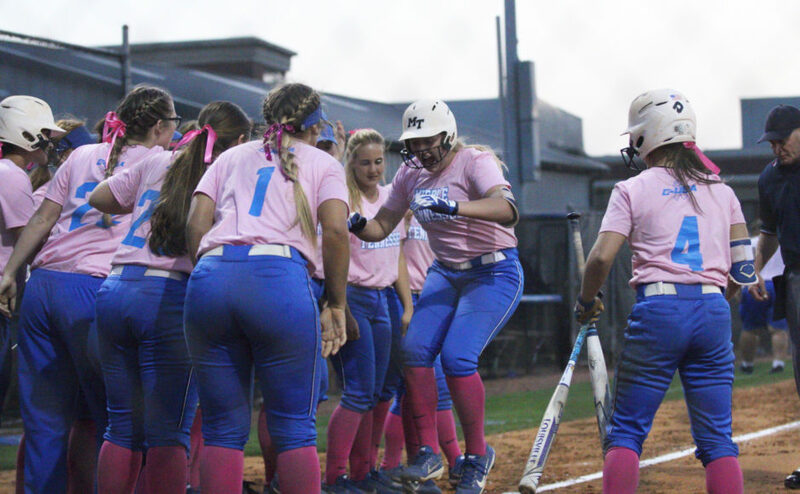 After losing on Day one of the South Alabama Invitational, the MTSU softball team had an early chance to bounce back Saturday morning versus Texas A&M Corpus Christi. The Blue Raider’s bats came out hot as they would put up a season-high 12 hits in this game. Despite the powerful bats, the hits were not coming when they were needed most. MTSU left nine runners stranded on base in the first four innings and were held scoreless at that point. It was not until the fifth inning that MTSU was able to take advantage of their offensive, putting up three runs in the inning. Gretchen Greer (3-0) pitched a complete game and picked up the win in the circle. She allowed only two hits while striking out four A&M batters. 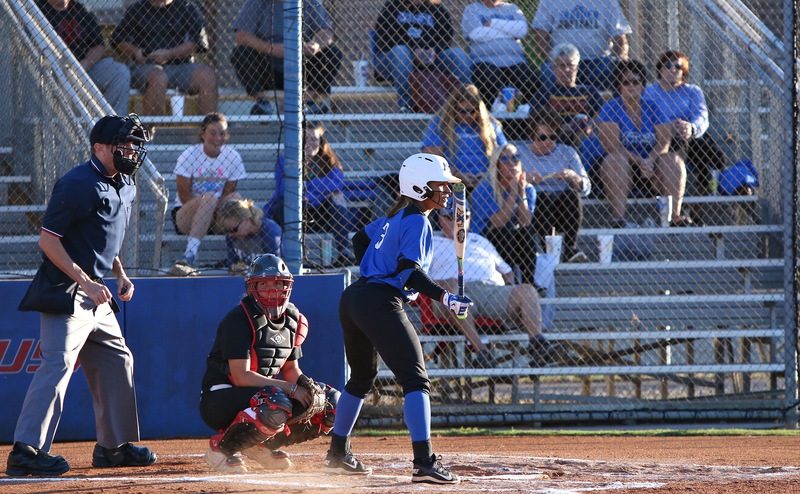 Morgan Harris was the leading hitter for the Raiders, going 3-for-4 from the plate while Danielle Munoz and Precious Birdsong both went 2-3 as well. 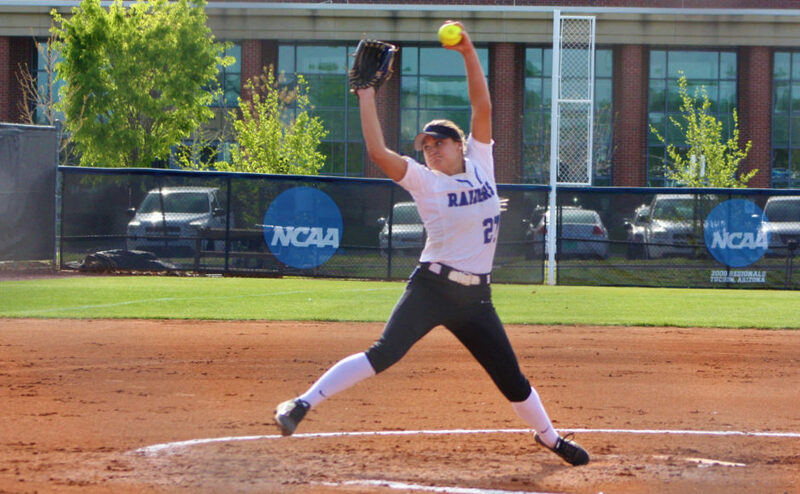 In game two action versus South Alabama, the Raiders and the Jaguars found themselves in a pitchers duel. 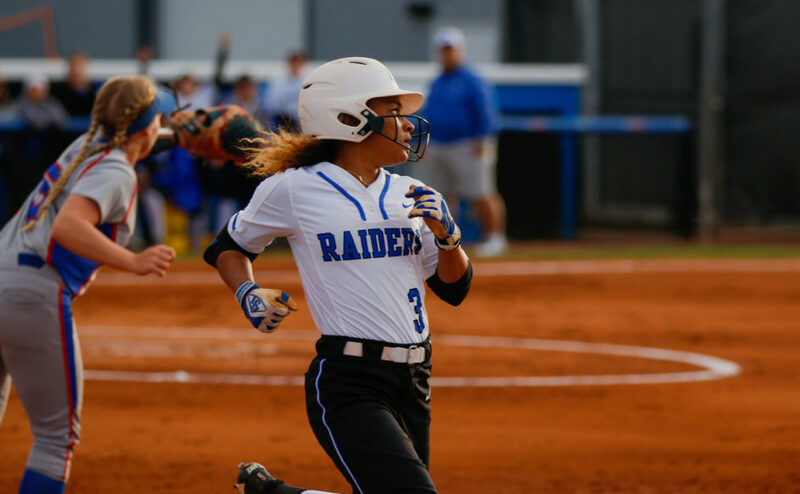 Both teams were held scoreless until the bottom of the sixth inning when an unforced error by MTSU allowed the Jags to bring home the one and only run scored in the game by either team. 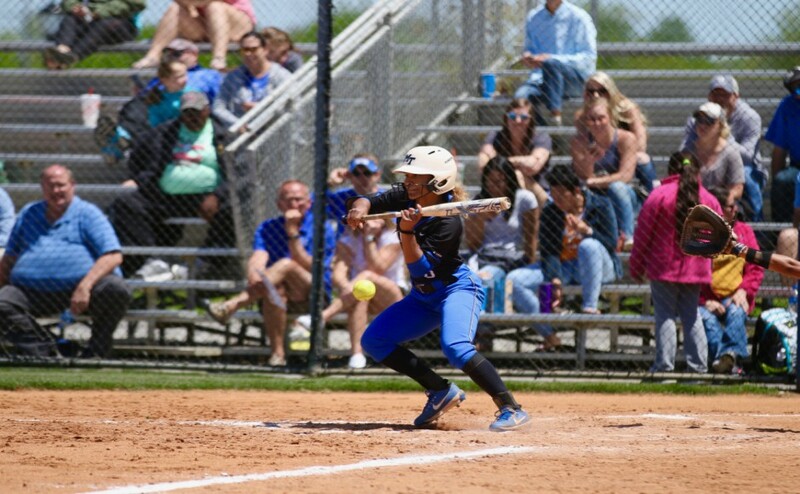 The Blue Raiders had runners in scoring position at multiple points in this game and had plenty of chances to put runs on the board, but just could not string enough hits together to get a run across. Megan Chocallo (0-1), though taking the loss, struck out two opposing batters and pitched a complete game in her first start of the year. Her ERA however, will remain at a perfect 0.00 as the run she gave up was unearned. The Blue Raiders look to end the Invitational on a high note as they once again take on Texas A&M Corpus Christi Sunday at 10 a.m.